Michael R. Baker began his studies on the cornet at The Salvation Army with Derek Smith at the age of 9. He holds both a Bachelor’s and Master’s Degree from the Juilliard School where he studied trumpet with Philip Smith, Mark Gould and Edward Treutel. 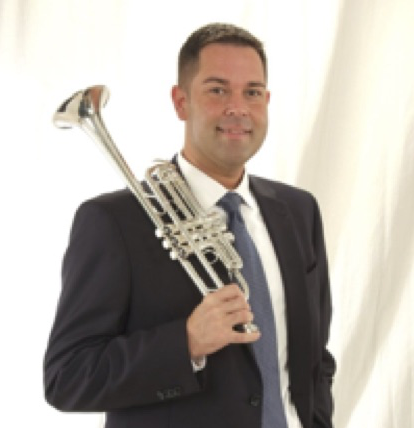 Besides his second trumpet position with the New Jersey Symphony Orchestra, he is a busy freelance musician within the New York area playing with the New York Philharmonic and the Metropolitan Opera. He has also played several shows on Broadway. Michael is also a member of the prestigious Brass Band of Battle Creek. He can be heard on many recordings of the New York Philharmonic, the New Jersey Symphony Orchestra, and both the Montclair Citadel Band and the New York Staff Band of The Salvation Army. Michael teaches trumpet at William Paterson University.